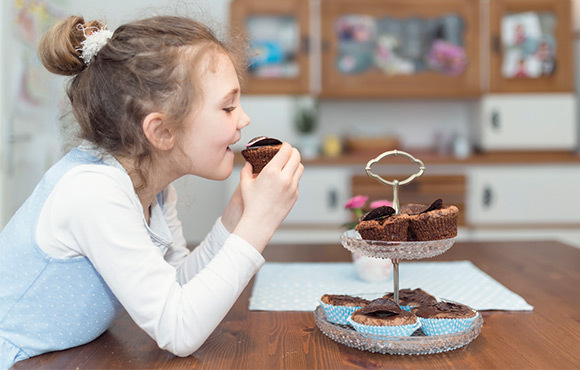 Parenting has never been easy, and these days we're up against two more formidable challenges: the rising rate of childhood obesity and sedentary behavior. Since these are fairly new problems, your parents and grandparents might not have all the answers—but we do! 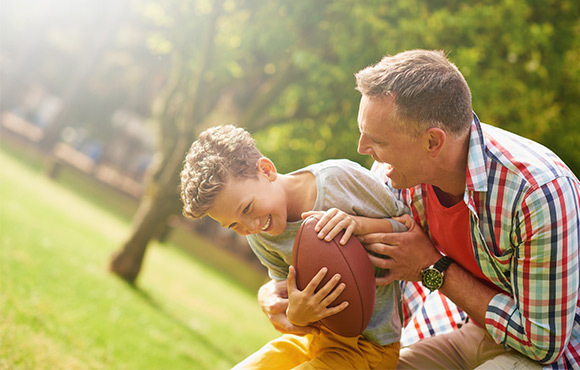 Follow these 10 rules for keeping your kid active, and you'll have a great head start at turning activity and fitness into life-long habits. 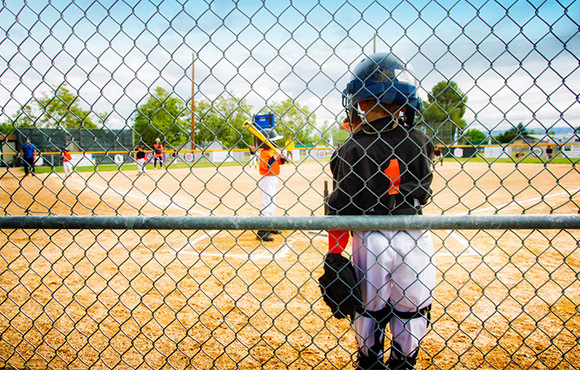 Just because your kid is in T-ball doesn't mean that he's active enough. 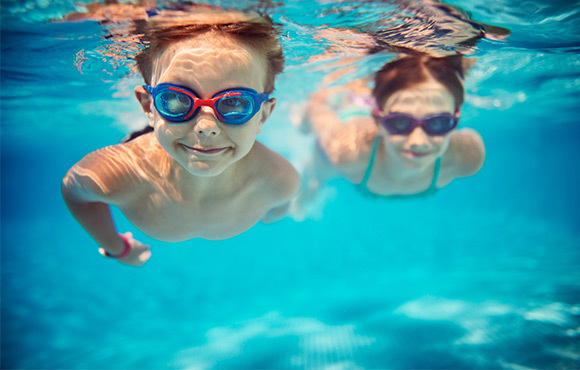 A new study in the Archives of Pediatrics & Adolescent Medicine found that less than 25 percent of student athletes receive the recommended 60 minutes of daily exercise. Plus, the researchers found that the kids actually spent about 30 minutes of their practice sessions being completely inactive. Coaches need to make sure everyone is participating in the game, so some children might have to wait their turn to head onto the field. The study's authors suggest that adults should take a more active role in the practice sessions, even if that means monitoring children with a pedometer. America's fight against childhood obesity starts with parents. When children are playing, don't worry too much about the rules. 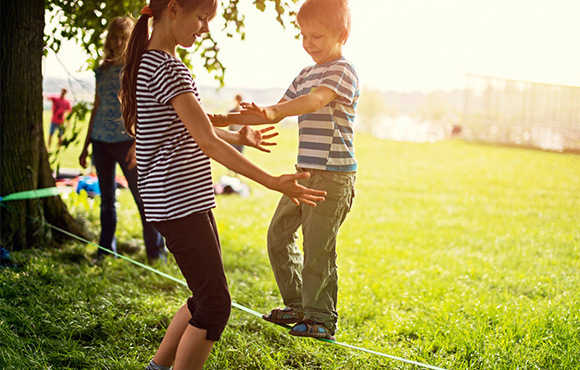 "Making a game or activity too rigid is the best way to guarantee that a kid won't want to be active," says Men's Health FitsSchools advisor Jim Liston, CSCS. "Your job is to facilitate play, not dictate it." If your kid stops playing an organized game and starts chasing a butterfly, just go with it. As long as kids are running, jumping and having fun, they're improving their health and athletic ability. If you want your kid to get off the couch once in a while, you have to do the same. Case in point: A 2010 study by British researchers found that 6-year-old girls were nearly 3.5 times more likely to watch more than four hours of television a day if their parents similarly stared at the tube for two to four hours a day. As for boys, the scientists found that they were about 10 times more likely to watch TV for four hours a day if their parents did as well. Luckily, the solution is simple–turn off the TV. 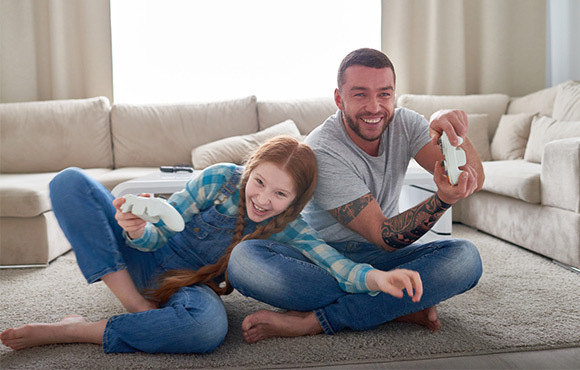 We're not saying that your child should start spending more time in the living room than the backyard, but kids can have a good workout by playing certain video games. Recently, the American Heart Association officially stated that Wii Fit Plus and Wii Sports Resort games are legitimate ways to stay active. And, a recent study in the journal Pediatrics found that kids aged 10 to 13 who played Dance Dance Revolution had an exercise session that was comparable to walking at a moderate-intensity pace. It's no wonder childhood obesity is so prevalent. "We tell our children to eat healthy, but then we reward their good behavior with junk food," Liston says. Though there's nothing wrong with an occasional treat, consistently reinforcing a job well done with ice cream and candy delivers the wrong message. In fact, you should use caution in rewarding kids with any kind of food, including healthy fare. "This practice can teach them that it's good to eat even when they're not hungry," Liston says. Instead, give them another kind of reward, like extra playtime outside. Forget the phrase "Keep your eye on the ball." Why? Because the first time most kids hear it, they have no idea what you're talking about. Focus on showing your child how to do what you want them to do, and you'll be amazed at how quickly they begin mirroring your actions. Kids aren't stupid. Say your son or daughter whiffs at three pitches in a row. The modern parent often says, "Good try." But that type of hollow praise doesn't console him or her or help them the next time they step up to the plate. "Praise should be specific and authentic, as in, 'Good job juggling the ball 10 times. I see you've been practicing a lot. Your efforts have paid off,'" Liston says. "You should also mix instruction and encouragement when your child makes a mistake." Look for a teaching point, even on a strikeout. For instance, you might say, "Good eye on that second and third pitch. Keep swinging at pitches like those, and the hits will come." Remember the days of running around with the neighborhood kids from dawn until dusk? Wasn't that fun? Well, it's also an essential way to keep your kid in shape. 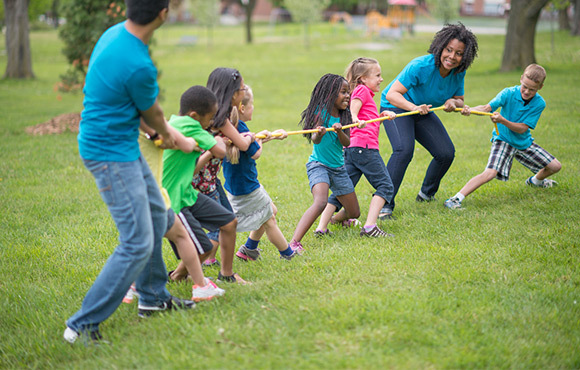 Researchers in the U.K. found that children who have an active neighborhood playmate are two to three times more likely to be physically active themselves when compared to kids who don't live near a buddy. 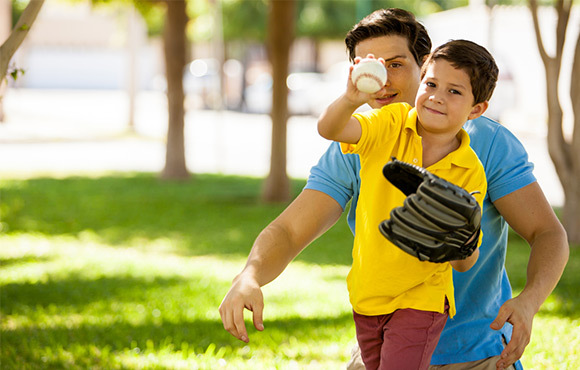 Kids develop the coordination to run, catch and throw at different rates. The trouble is, they're often expected to perform at certain levels based solely on their ages. As a result, a child whose development is slower than average may never have the opportunity to catch up with his peers. "If a kid tries to catch a baseball on the run before he's able to catch a beach ball while standing still, he won't have the tools he needs to be successful," Liston says. 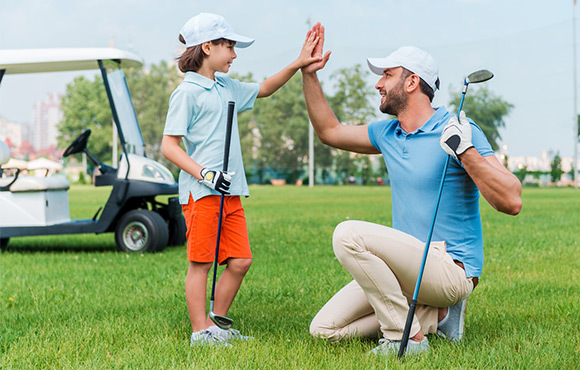 Unfortunately, many parents and coaches think the solution is for the child to try harder, when the real secret is backing up to a simpler task that the kid can improve upon. 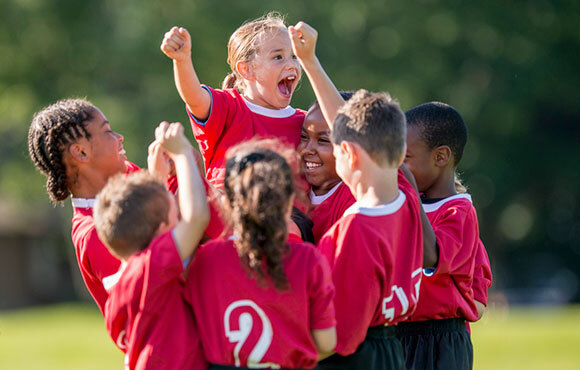 Encouraging your kids to participate in vigorous sports like basketball and soccer can cause your children to become more active, according to research in the journal Health Psychology. In the study, kids who received support from their parents were more likely to sign up for team sports—and less likely to spend their time sitting around—than the children who's parents didn't give them a push. Men’s Health is a brand for active, successful, professional men who want greater control over their physical, mental and emotional lives. We give men the tools they need to make their lives better through in-depth reporting covering everything from fashion and grooming to health and nutrition as well as cutting-edge gear, the latest entertainment, timely features and more.